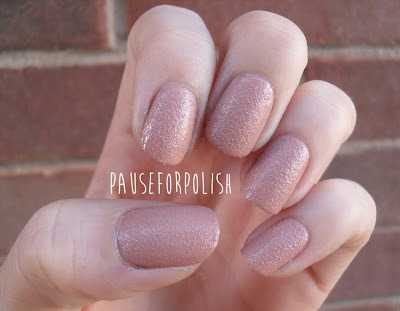 Pause For Polish: £1 Polish Wednesday.. ish. 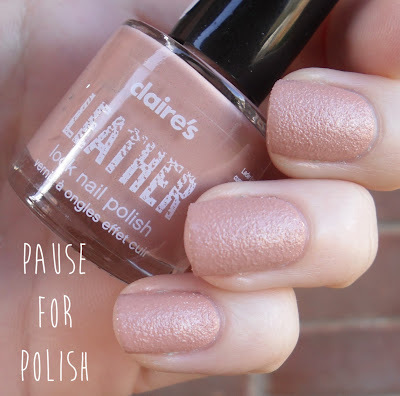 This is another polish from Claire's Accessories, and was the first ever leather polish i purchased! 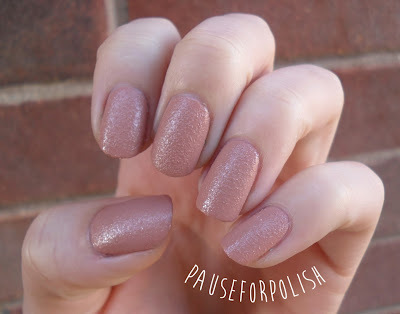 I'm quite a big fan of textured polish, and ended up buying all of their collection. 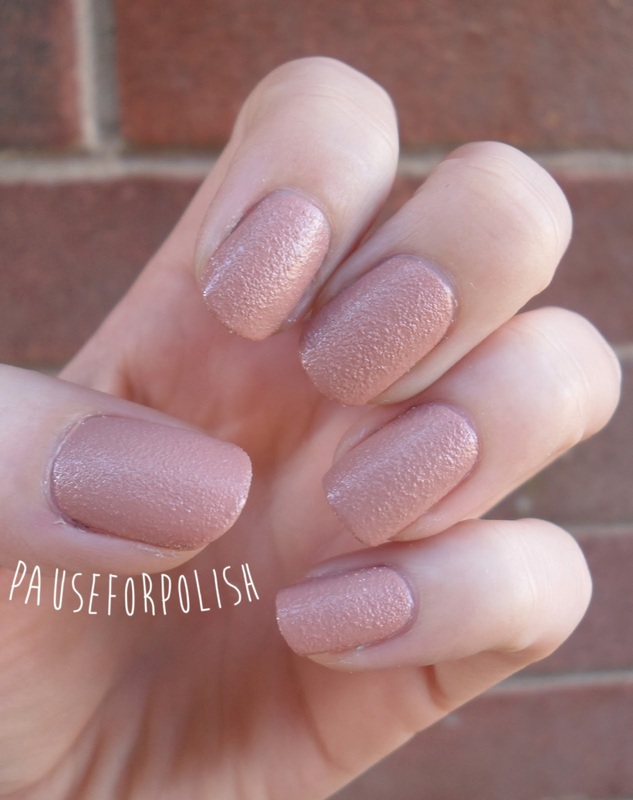 It's just so simple to pop on your nails, and really doesn't need any extras to bling it up! This is three coats of the beige leather polish, and it's really easy to apply. Because it is such a light shade it did need three for full coverage, but the darker colours only need two. I think this is a great idea for a manicure for those in a professional job where bright nails aren't encouraged.. It's muted but still with a little something special. Plus you'll spend all day stroking your nails because the texture feels awesome! What do you think, worth £1? Because this is old stock you might struggle to find any now but they have got leather polishes in their new style, with an added navy colour which is on my to buy list! I have got a polish from work to show you soon.. trust me when i say i actually squealed when i got it in delivery!